Stung by critics who perceived spirituals as painful reminders of slavery, uplifted by the praise of royalty and world-renowned artists, John Wesley Work II toiled for three decades at Fisk University with single-minded determination to promulgate the good news of jubilee songcraft. Here for the first time his story is told in vivid detail by celebrated author Doug Seroff, accompanied by the 43 extant selections recorded by the Fisk Quartet when Work led the group-including all nine legendary Edison cylinders that feature Roland Hayes as second tenor and the four recitations of Paul Laurence Dunbar's poetry by James A. Myers. The selections are introduced by spoken excerpts from Rev. 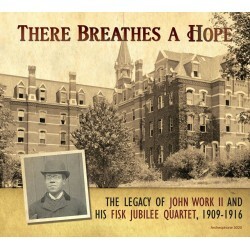 Jerome I. Wright, one of the last living Fisk students to have sung under John Work's direction. Two CDs, more than 100 pages of history and illustrations, and recording notes by Tim Brooks, author of Lost Sounds, give voice to the bondsman's hope and breath to the freedman's courage. 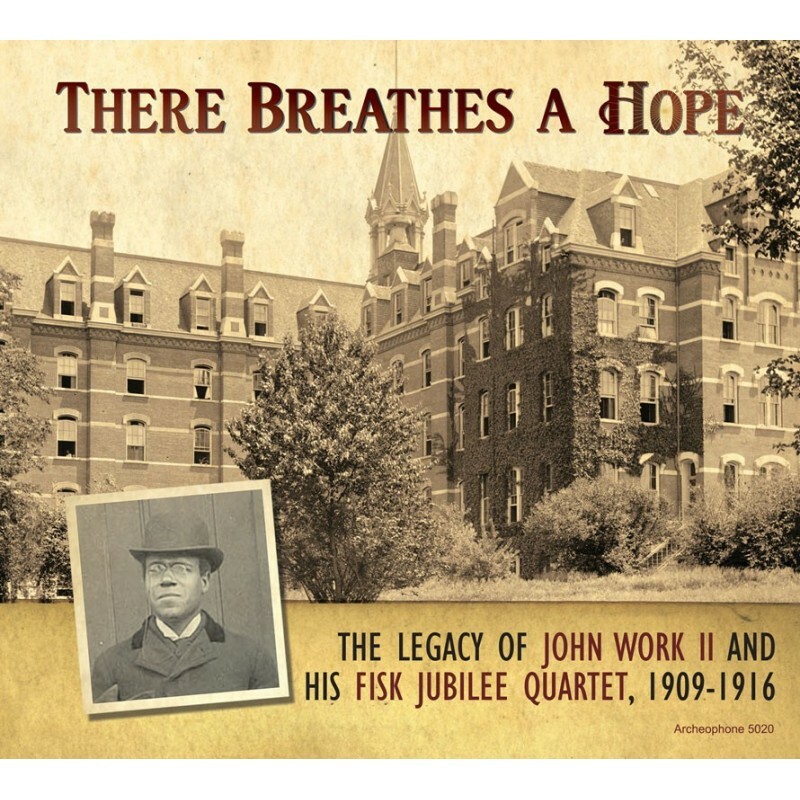 Visit There Breathes a Hope's expanded catalogue page to see the complete track listing, read an extended description, and listen to sound samples.